The celebration of the centennial of the birth of Julian Schwinger was organized by Harvard University in February 2018. I am a little late writing about it because I was on hiatus from blog writing. Nevertheless, I wanted to do my part reminding the younger generation about this great physicist. It is interesting that 2018 is also the centennial of the birth of Richard Feynman. 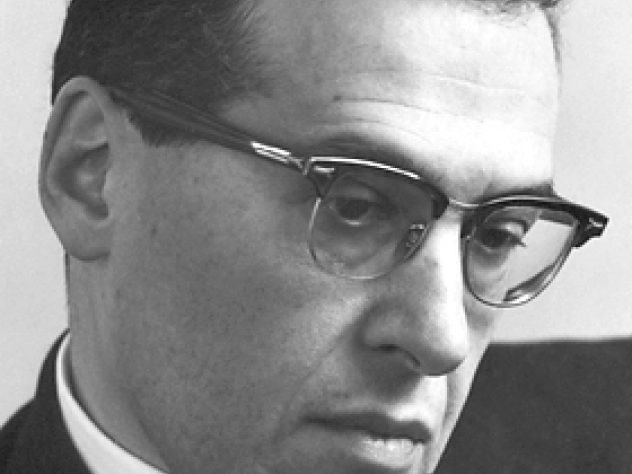 Julian Schwinger shared the 1965 Nobel Prize in Physics with Richard Feynman and Sin-Itiro Tomonaga. Many years ago I met Julian Schwinger in Stillwater when he was visiting OSU (Oklahoma State University) Physics Department. My Quantum Mechanics professor Kimball Milton had been one of Schwinger’s Ph.D. students at Harvard and his colleague at UCLA. Julian Schwinger supervised 73 Ph.D. dissertations. This must be a record. Compare this to the number of Ph.D. dissertations Albert Einstein supervised: zero. Einstein did not have any Ph.D. students. The Harvard Magazine article celebrating the Schwinger centennial is very informative. This article does not cover his contributions to physics but provides a unique perspective into his personality. I also recommend “The Memories of Julian Schwinger” written by Edward Gerjuoy. Almost everyone who knew him or worked with him mentions his habit of working at night. His fondness for sports cars is also mentioned, but, one thing is clear to everyone: Julian Schwinger was one of the greatest physicists of the 20’th century. J. Mehra & K. A. Milton, “Climbing the Mountain” (Oxford 2000). This is a full biography of Schwinger as well as a full discussion of his contributions to physics. See also Kimball Milton, “In Appreciation Julian Schwinger”, Physics in Perspective 9, 70-114 (2007). This entry was posted in history, physics and tagged Julian Schwinger. Bookmark the permalink.